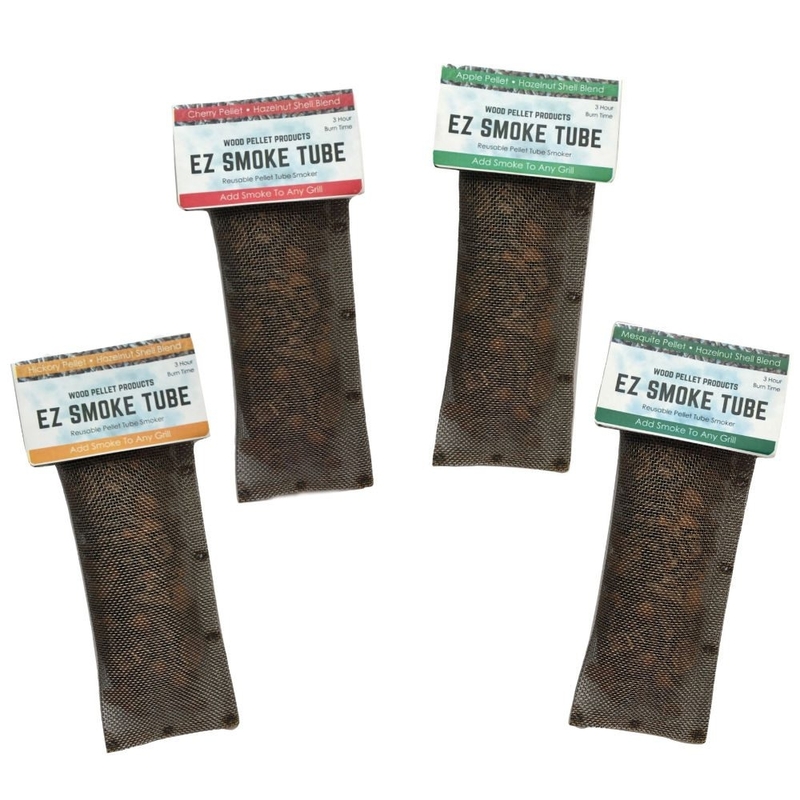 Add smoke to any grill or oven with the EZ Smoke Tube. The refillable 304 stainless steel pellet smoking mesh tube is pre-filled with specialty wood flavored pellets. These hardwood proprietary blends of hazelnut shell and wood flavored pellets are easy to light and maximize gourmet flavor! Your going to love the ease of use. Simply light the patent pending accelerant label which ignites the wood flavored pellets. Add delicious smoke flavors to your favorite BBQ recipes. The smoke tube is made from 304 stainless steel mesh and built to last, you can reuse your smoke tube as many times as you like. Indicate what flavor you prefer when ordering.